Tigo Rwanda has revealed an increase of subscribers from from 3,387,682 in September to to 3,456,237 in October this year, indicating 40 percent of the market share, up from 36.5 percent in December 2016. According to figures from the Rwanda Utilities Regulatory Authority (RURA), among telecom operators Tigo Rwanda made the largest gains in the month of October 2017 with subscriber numbers growing by 2% when compared to those in September this year. Philip Amoateng, Chief Executive Officer of the telecommunication company, said that the new development is an indicator of customer confidence in their services. “Our positive subscriber growth is a testament to not only the growth of customer confidence in the quality of the services we offer, such as the fast data and Tigo Cash mobile financial services but also the highly motivated sales and distribution team that we have on the ground.”He noted. “The growth in the customer base is coming simultaneously with the launch of our new marketing campaign, ‘Tigo Yanjye’ and the introduction of three innovative products – Imirongo Yose (All Network pack), Izansure (personalized offers) and the Africa packs for international call. We are working towards becoming the market leader by the end of 2017,” Amoateng said. RURA statistics show that a total number of active mobile subscriptions in Rwanda increased from 8,952,544 at the end of September to 8,675,826 at the end of October this year. 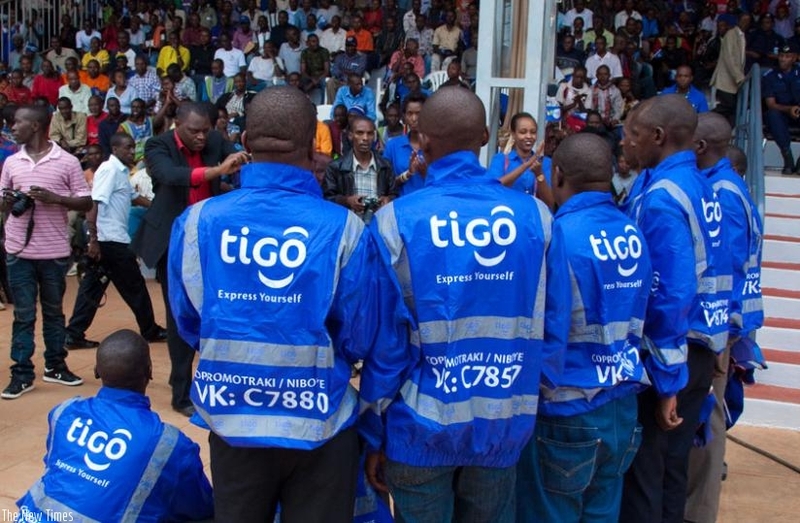 Tigo Rwanda leads other telecommunications companies in Rwanda, at a gain of 2% in the increase of subscribers, followed by MTN Rwanda which has an increase of 0,3%. This is after the increase in the number of subscribers from 3,576,352 in September to having increased to 3,588,106 in October, this year. Airtel Rwanda’s subscribers rose from 1,628,510 in September to 1,631,483 translating into an increase of 0,2%.